360° Ads perform better than standard display ads. 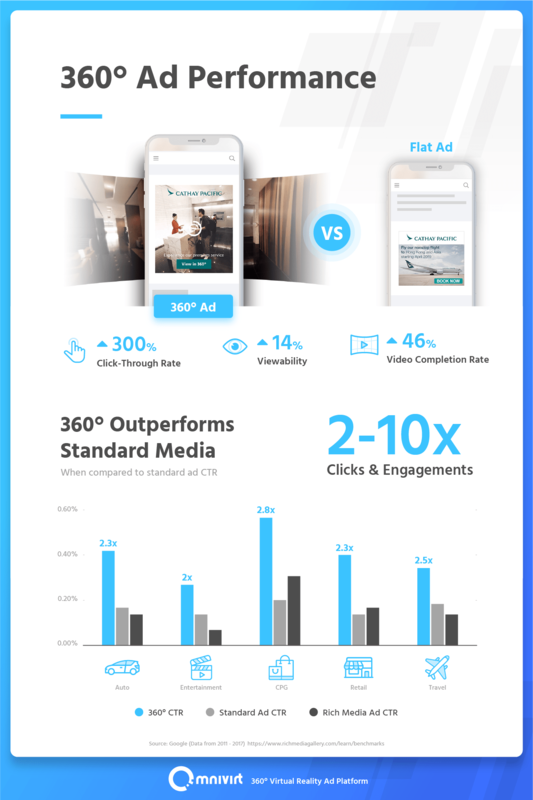 CTRs, viewability, and video completion rate all are much higher with 360° ads, helping performance marketers do better. 360° ads can get up to 300% the CTR compared to standard ads. They have 14% higher viewability and 46% higher video completion rate. Even across different verticals like Auto, Travel, Retail, CPG, and Entertainment, 360° ads perform better when comparing CTRs.